Sandra Waters, MEM is Vice President for Collaborative Initiatives at the National board of Osteopathic Medical Examiners (NBOME). In this role, Ms. Waters facilitates relationships with key stakeholder groups as the “Chief Collaborative Officer” for the organization. Throughout her career, she has been instrumental in developing strategy, improving operations and leading innovation in diverse organizations and multiple industries. Ms. 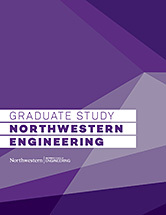 Waters holds a Master of Engineering Management degree from Northwestern University where she serves on Advisory Boards to two programs and a Bachelor of Engineering Science degree (chemical/biochemical) from Western University in Canada.